At Maximum Martial Arts Center, we are very proud to provide the best possible training facility to our students. We have an expansive training area, filled with the most state of the art training equipment available. Our lobby includes a comfortable and convenient parent/family viewing area, a homework station, water receptacles, two bathrooms, a completely stocked retail area and reception desk. Our facilities are always clean and well organized. Our training mats are steam cleaned throughout the week to promote a sanitary and healthy environment. We treat our school as a very special place of learning on a physical, mental, and spiritual level. Our school is a uniquely dynamic learning environment suited for people who enjoy a professional atmosphere. Master Castillo, a native of Las Cruces, has been diligently practicing martial arts for 29 years and has been teaching for the last 25 years. 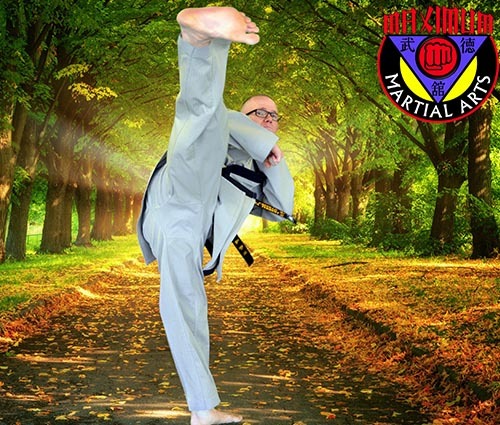 Master Castillo, a 7th Degree Black Belt in Taekwondo & 5th Degree Black Belt in Hapkido and President of the Foundation Hapkido & Self-Defense Association, has had the tremendous opportunity to train with many different highly distinguished martial arts masters over the past twenty seven years. He is always ecstatic to share his knowledge with others. He has trained numerous students up through the black belt levels and has produced many state and national champion competitors. Master Castillo has also had the opportunity to help build the new Iraqi government’s police and soldier forces, teaching hundreds valuable life-saving hand to hand combat skills. One of Master Castillo’s biggest goals, is to give back to the city of Las Cruces, NM teaching students to be good citizens, who are confident, respectful, physically fit, and are able defend themselves. Maximum Martial Arts Center is the only Combat Veteran owned and operated martial arts school in Las Cruces.